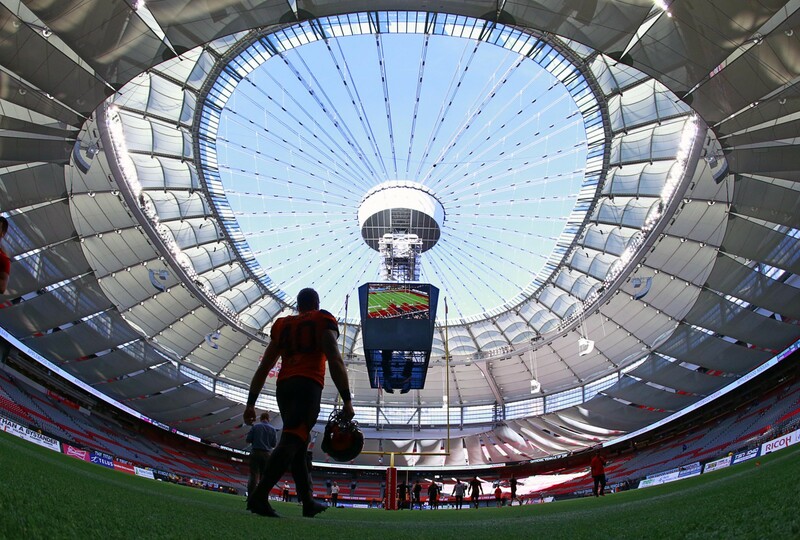 Whether you’re attending your first-ever Lions game or you’re a long-time season ticket holder, this list contains all your need-to-know information for enjoying a game day with the BC Lions!Can’t find your question on this list? Click here to send us your questions, comments, or any other thoughts you have about your BC Lions game day experience – we would love to hear from you! Where is BC Place located? How can I access the stadium? The stadium is located at 777 Pacific Boulevard in downtown Vancouver, a very short walk southwest from the Stadium SkyTrain station. For information on how to get to the game by car, transit or bicycle, please click here. What time will gates open on game days? Gates will be open 1 hour prior to kick off for each home game. What gate should I use to access the club seat area? Enter the stadium through the dedicated club seat holder entrance located at Gate E, then proceed up the ramps at 239 or 243 to the club area (please contact customer service at 604.589.ROAR if you have mobility issues). If you have misplaced an item during the game or have found an item, please report this to the most convenient guest services location where our representatives will be happy to assist you. Where are the Guest Services locations? What time will Team Ticket Services open on game days? Team Ticket Services (for ticket pick up, re-prints, or any ticket related issues) will open 2 hours prior to kick off at Gate H.
I brought the wrong season tickets to a game or forgot my tickets. What do I do? Proceed to the Team Ticket Services window located outside Gate H and speak to the BC Lions representative who will help you get your ticket situation sorted out. Photo identification will be required in order to reprint a ticket. At what age is a guest required to have a ticket to attend a BC Lions game? Children two and under do not require a ticket provided they sit on the lap of an adult during the course of the game. Any guest above the age of two requires a ticket of their own. Will I be able to smoke cigarettes at BC Place? Smoking is prohibited on stadium property, including external plazas. What can I do to help ensure easy entry through the gates? You will be checked for outside alcohol and prohibited items at the gate. The less you bring to the game, the better, so please try to avoid bringing bags and large items whenever possible. You can view a list of prohibited items here. What is the policy on cameras and camcorders? Details on the BC Place camera policy can be found under the list of prohibited items here. **For more BC Place policies please click here. Who chooses the music to play at a BC Lions game? Our game day manager and our DJ collaborate on the music playlist for the season. They try to select music that will appeal to as many fans as possible and will add to the enjoyment of the game. BC Lions players will sometimes make song suggestions, but ultimately the decision rests with the production crew. If you have a song suggestion, feel free to e-mail it to us at customerservice@bclions.com and we would be happy to take it into consideration. Why does the on-field announcer sometimes tell me to be quiet when I’m trying to cheer on the Lions? Our players take a lot of audio instructions on the field prior to each play. When the Lions are on offence, fans are encouraged to keep noise to a minimum to allow our players the ability to communicate effectively. Conversely, when the opposition is on offence, we encourage our fans to be at their loudest possible to help make it as difficult as possible for the opposition to hear their play calls. Can I send a birthday greeting to a loved one during a game? Thanks to our Premier Partner Pacific Northwest LNG, you can! Submit your birthday greeting here. Please note that all greetings will be reviewed by BC Lions staff and may be subject to change. All birthday greetings must be submitted 72 hours PRIOR to game time. Any requests that are received later unfortunately cannot be included. Space is limited and requests will be processed on a first-come, first-served basis and all submissions that are accepted with be contacted prior to the game. If you are unsure of any policies or require further clarification, please contact the BC Lions Fan Customer Services Team at 604.589.ROAR(7627).